Tired kitten is... tired. 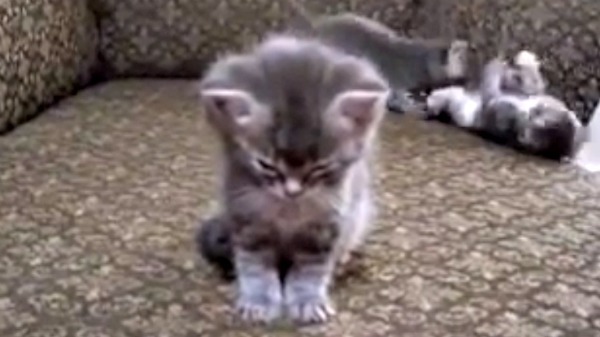 This sleepy kitten is fighting sleep. Even though his friends are romping right behind him, he still can't stay awake.